Does the SkyDrive desktop app use disk space? UPDATE 16Nov2012: Selective sync is now enabled. 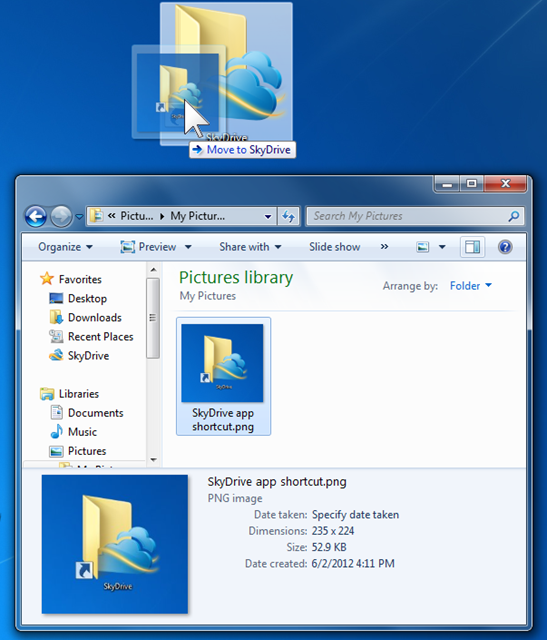 See: How do I choose the SkyDrive folders to sync with the desktop app? When the SkyDrive app is installed a folder is created on your computer and all of the contents of your SkyDrive is downloaded to that folder. So the answer to the question, “does the SkyDrive desktop app use disk space”, is definitely yes. This folder is synchronized with SkyDrive. So what is the advantage of having the SkyDrive app? The most important advantage is that with the SkyDrive app you can manage your SkyDrive like any other folder on your computer. You can add and remove files, add and remove folders and subfolders. You can copy files and folders with sub-folders and all their contents to SkyDrive with the normal drag-and-drop or copy-and-paste routines that you are familiar with. Another advantage is that all your SkyDrive contents is available even when you are not connected to the Internet. When a connection is reestablished SkyDrive is automatically synchronized. If you have multiple computers, all of them can be up to date and have your SkyDrive files available. Where is the SkyDrive folder on the computer and how much space does it take? The default location for the SkyDrive folder is C:\Users\YourName\SkyDrive. It is set during the SkyDrive app installation and another location can be selected. Note the Change button shown in the illustration here. The picture also shows where in Windows Explorer SkyDrive can be found: It is listed in the Favorites group. Since the SkyDrive folder maintains a copy of everything in your SkyDrive the disk space will be the same as the online SkyDrive space. If you have 5 GB of files in SkyDrive, this folder will need 5 GB. Where do I get the SkyDrive app? Go to your online Microsoft account, go to SkyDrive. At the bottom of the listings in the navigation area on the left, click on Get SkyDrive apps. This will take you through the download and installation procedure. How do I know when the files are up-to-date? Open the SkyDrive folder. While a folder is being synchronized there will be a little double-arrow symbol next to it. When it is up to date, there is a checkmark in a green circle. While processing changes, you can also see a progress bar under the little SkyDrive icon in the notification area (right end of taskbar). Move the pointer to the symbol to get a screentip message of the status. Can I install multiple SkyDrive apps on my desktop? The short answer is “no, you can’t”, but the longer answer is, “there is a way”. If you have two Microsoft accounts (Windows Live IDs), you have a SkyDrive for each. 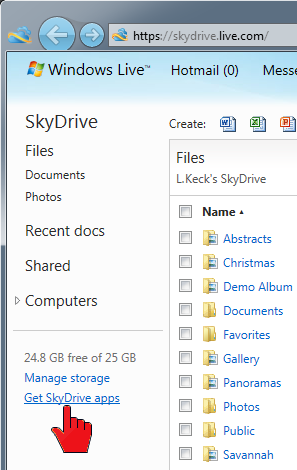 The SkyDrive app on the desktop makes managing the files and folders in the SkyDrive as easy as any other folder. So you might want to have access to both right on your desktop. You cannot install the SkyDrive app multiple times on the desktop, that simply does not work. 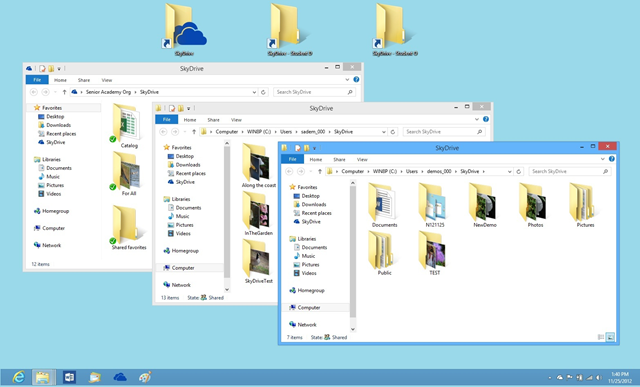 There is a work-around, however, and once established, works just as you expect – two folders on the desktop, each accessing its own SkyDrive. Not only that, both get synchronized automatically. 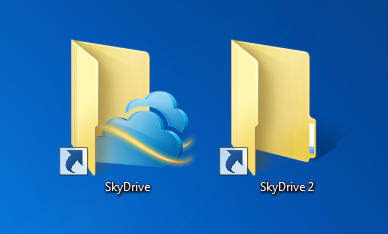 Here is the how to install two separate SkyDrive folders on your desktop. Assumed here is that the computer is running Windows 7. Create a user account on your computer for the second Microsoft account. In this article I will call the original user “user 1” and new user “user 2” and the SkyDrive belonging to that user SkyDrive 2. User 2 can be a “Standard user” (and really should be). Start Internet Explorer, sign in with the user 2 credentials. Click SkyDrive in top menu. Click Get SkyDrive apps (navigation pane, bottom). Follow through and download and install the SkyDrive app. Switch back to user 1. Open Windows Explorer. Navigate to Local Disk > Users > user 2. This is the default location where the local SkyDrive folder is located. Right-click on the SkyDrive folder listing. Click on Send to in the drop-down menu and click Desktop (create shortcut). That’s it. You now have a desktop shortcut to SkyDrive 2, the one for user 2. Note that I did not ask you to log out either user. So long as both users are logged in on your computer the synchronizing of the SkyDrive folders will proceed for both. Keep in mind that downloading and especially uploading of files takes considerable time as determined by your Internet connection. Both folders will be accessible, of course, at all times, including when the Internet connection is not available. Synchronization will resume when the Internet connection is reestablished. With the SkyDrive app do I have access to my files when off-line? With the SkyDrive app installed on your computer you have access to everything that is in SkyDrive even when you are not connected to the Internet. You can add or remove files and folders. Without being connected to the Internet, of course, any changes in the SkyDrive folder cannot be synchronized. 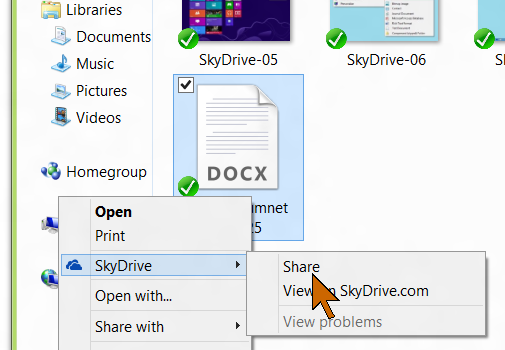 When you do establish an Internet connection, the online SkyDrive will be automatically updated with the local SkyDrive folder. 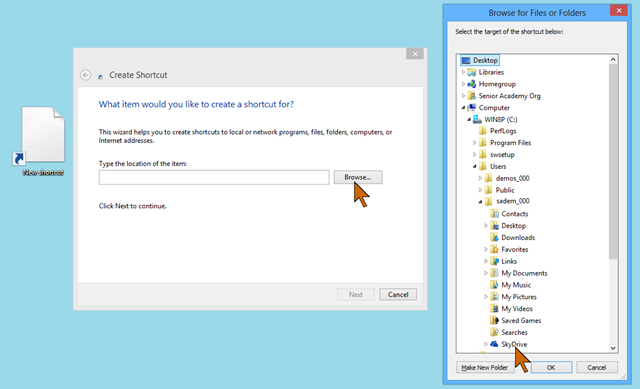 The desktop SkyDrive shortcut opens your local folder. You can manage the folders and files just like any other folder. This is the easiest way to add folders and their contents to SkyDrive complete with any sub-folders. 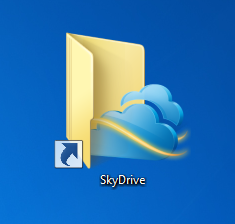 If you drag a file or folder to the SkyDrive desktop icon it will be placed into the SkyDrive root, just as you would expect. If you do not have the SkyDrive app, sign in to your Microsoft account, click SkyDrive in the top menu bar. In the navigation pane on the left click “Get SkyDrive apps” at the bottom of the listings. Step through the download and installation process. SkyDrive access works best when you stay connected. Next time you sign in, check “Keep me signed in”.